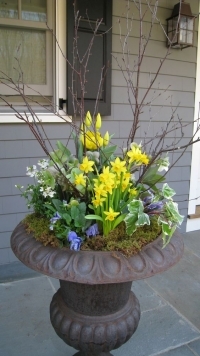 Let us help you celebrate the start of each season by becoming part of Country Basket Garden Centre's Urn Club! There are many shrubs out there aside from maple trees that can provide stunning yellows, bold oranges and bright red accents to your Niagara garden. At the Country Basket Garden Centre, we offer a variety of bulbs that can be planted in the fall for beautiful flowers come spring. Here are just a few of the varieties on offer for your Niagara garden. At the Country Basket, we know that our Niagara customers don't buy plants with the intention of killing them! Sometimes things just go wrong, and so we offer a generous 2-year warranty on all trees, shrubs and climbing vines. There's nothing more refreshing, after a long, cold Niagara winter, than seeing your bulbs bursting into bloom in the spring! Pam Bongers (the owner) and staff are our custom planting architects! They'll work with you to custom design your dream planters or container gardens that fit your budget and the style of your Niagara garden. 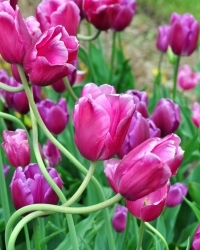 Springtime flowering bulbs get a lot of attention, but there are bulbs that bloom in summer and autumn, too. Here are a few of the most popular. 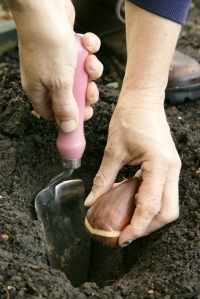 Squirrels, as cute as they are, can be a bit of a pest concerning bulbs – especially with tulips.